Cute Beyond Headphone audio amplifier from Firestone Audio Co., Ltd.
Hi-Fi Amplifier > Cute Beyond Headphone > Firestone Audio Co., Ltd. 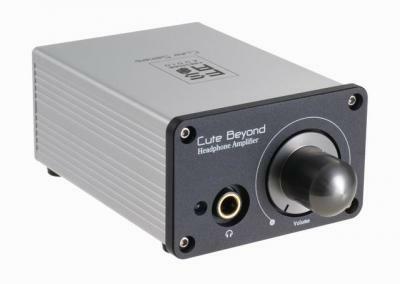 Cute Beyond is a kind of Pure Class-A Headphone Amplifier with low noise/low distortion features. Adopting both Series and Shunt types can let the users select their ideal type of Volume Control. High electric current output can pretty much drive headphones of any impedance. OP amplifier can be changed by yourself to turn the tone. Using Cute Curve can easily make you enjoy high-quality and awesome sound. Cute Beyond Headphone > Firestone Audio Co., Ltd.